Dr. Griswold is an Associate Professor of Bioengineering at the Thayer School of Engineering at Dartmouth, holds an adjunct appointment in the Dartmouth School of Biological Sciences, and serves as a faculty mentor in the Dartmouth Programs for Molecular and Cellular Biology and Experimental and Molecular Medicine. He is the recipient of a Coulter Foundation Early Career Award in Translational Biomedical Engineering. 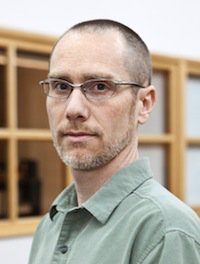 Dr. Bailey-Kellogg is a Professor of Computer Science at Dartmouth, where his lab has long focused on the development of integrated computational-experimental methods for characterizing and optimizing protein structure and function. He is the recipient of an NSF Career award and an Alfred P. Sloan Foundation fellowship. Dr. Fang received his Ph.D. degree in Bioengineering under Prof. Karl Griswold from the Thayer School of Engineering at Dartmouth. He received his B.E. degree from China Pharmaceutical University. His research in the area of biomolecular engineering has focused on the design and application of high-throughput functional screens for recombinant protein libraries. Dr. Fang has been invited to present his research at several international protein engineering conferences including PEGS, Peptalk, and the IBC Antibody Engineering & Therapeutics conference.